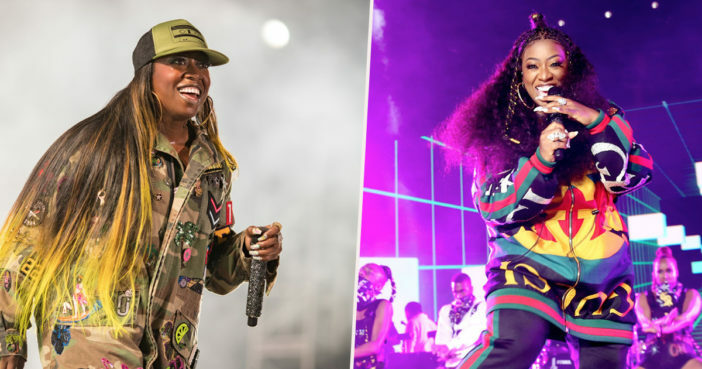 In exciting news for hip-hop fans, the one and only Missy Elliott has become the very first female hip-hop artist to be inducted into the Songwriters Hall of Fame. The Hall of Fame has quite rightly praised the 47-year-old Virginia rapper for her ‘inventive songwriting and production work’, describing her as being ‘one of the most significant female artists in contemporary music history’. A living legend, Missy/Misdemeanor is only the second rapper to be inducted into the Songwriters Hall of Fame, as reported by Vulture, after Jay Z was granted the honour in 2017. Missy’s debut album Supa Dupa Fly was received with critical acclaim in 1997, and in the years which have followed, she’s firmly carved out her unique place in music history. A five-time Grammy Award winner, Missy has also enjoyed enormous commercial success, with US sales exceeding 30 million. Other artists to be inducted into the Songwriters Hall of Fame in 2019 include Dallas Austin, Tom T. Hall, John Prine, Jack Tempchin and Yusuf Islam (Cat Stevens). The 2019 slate of inductees represents diversity and unity across genres and gender, highlighting our dedicated mission to honor music creators who have enriched our lives. These are writers who in their time literally transformed music and helped make what’s happening today possible. A huge well done to Missy, and to everyone else who’s set to be inducted into The Songwriters Hall of Fame this year. The Hall of Fame’s 50th Annual Induction and Awards Dinner will take place in New York, on June 13, 2019.